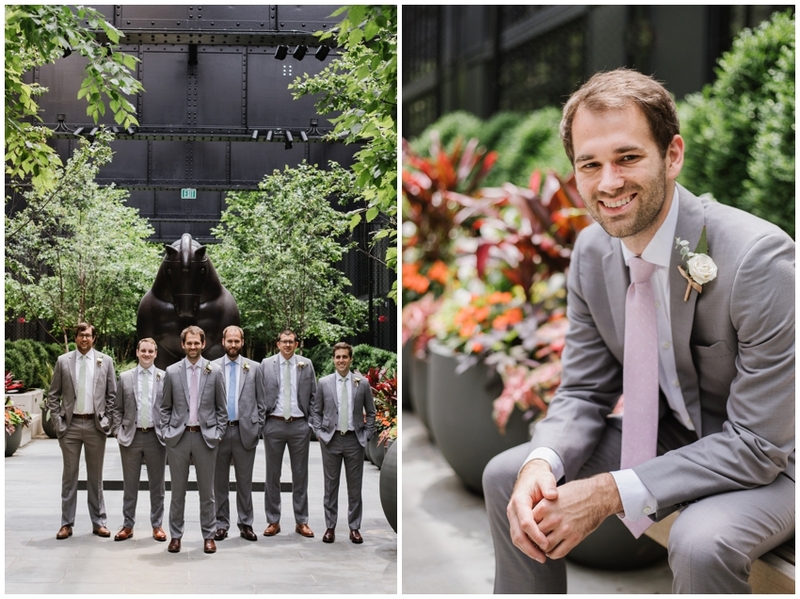 Lauren and Matt are such a fun-loving and creative, happy couple that it was no surprise to me that they wanted to celebrate their love of Baltimore and their neighborhood as much as possible on the day of their wedding! They had their first look at the rowhouse they owned less than a block from Patterson Park (and one street over from where Anthony and I used to live! )… you may remember their engagement photos we did in Patterson Park and Fells Point; to this day, I’m still obsessed with Lauren’s vibrant and carefree colorful dress paired with a denim jacket and mustard heels. I’ll never forget the first time we met at R House; we bonded over a love of being outside, city life, upstate NY travel and rowhouse renovation stories. 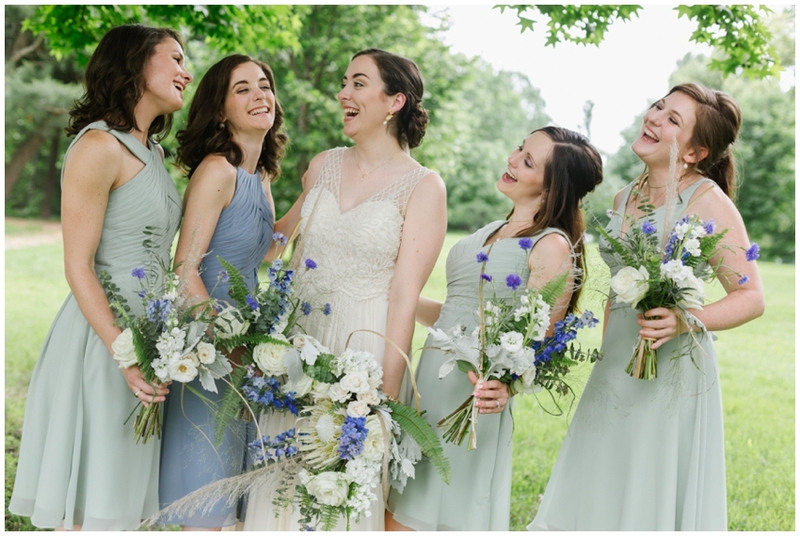 I was so excited to see their Baltimore wedding come together celebrating so many local, talented vendors and Lauren’s love of flowers and a garden-inspired aesthetic to soften the structure of their industrial chic wedding venue! Lauren wore 2 BHLDN gowns throughout the day and 3 different pairs of shoes (the Rifle Paper Co x Keds were my favorite!). The vintage suitcase she used to hold all of her details as she gathered them throughout the wedding planning process was a gift from a family member that was so functional and beautiful, we had to feature it in her getting ready photos! Want to know a huge bonus to getting ready at your house? The ability to easily include your dog! Penny, their sweet little pup got to be a part of the photos and even, their first look! Quite possibly my favorite first look ever. When you live steps from Patterson Park, portraits in the park are a must do. 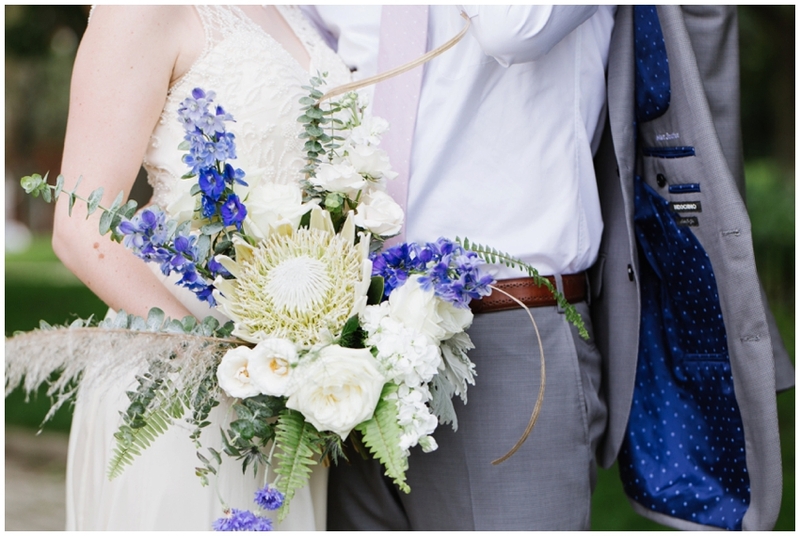 The bouquet from Lucky Penny Floral Co. had just the right touch of blue with an incredible texture and shape to it! I loved how they changed up the order of their day to allow for time to mingle with their guests BEFORE the ceremony. Yes, cocktail hour preceded the ceremony at the Accelerator Space! Hint, hint… more couples should do this! It was such a fun, casual way to allow the bride and groom to interact with their guests before the actual formal events started. Notice Lauren’s second dress and pair of shoes of the day! How cute, sparkly and festive is it with her earrings from J’Adorn Designs and that clutch and signature cocktail!??! The reception details and tablescape elements were all handmade by Lauren (menus, favors) and the ceremony backdrop was designed and installed/hung by Matt, an engineer. 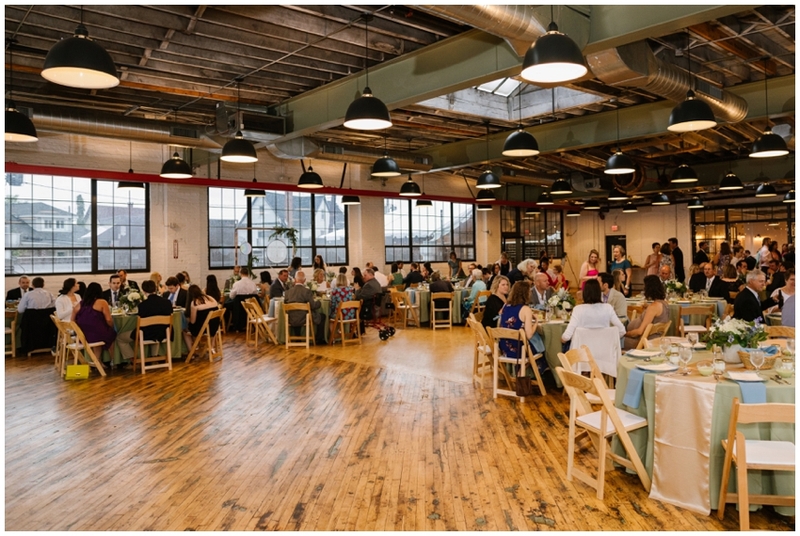 They danced the night away with the help of Bachelor Boys Band after enjoying a local meal by Tablefield Catering, Taste this Cake and Pietime, all vendors at Bmore Kitchen, the food incubator directly below the Accelerator Space. Cheers to you, adorable lovebirds!! We are so honored to have been part of your wedding and can’t wait to see what the future holds for you both!